A few of the poems from my book “Entre domingo y domingo” were published last month in “Jai-Alai Magazine.” Since “Jai Alai” is a multi-lingual literary review based in Miami, they were interested in publishing the poems in both English and Spanish. It was the first time I translated my own work and thoroughly enjoyed the (challenging) experience. Thanks, “Jai Alai”! 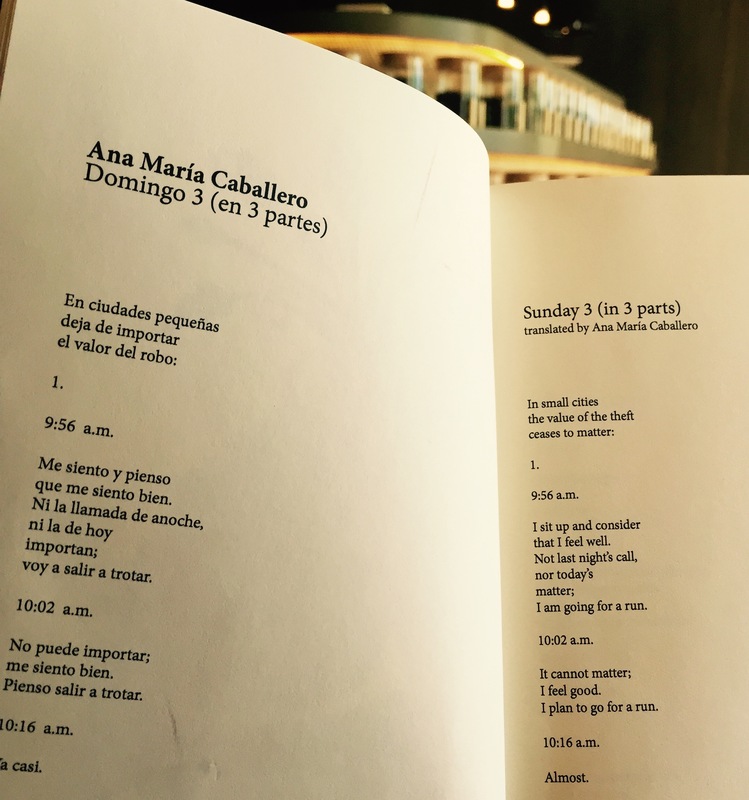 Below is “Sunday 3,” translated from its original form in Spanish, which is also included below. I am going for a run. I plan to go for a run. to take to my grandmother. You call and we’ve become complicated. so you will love me. voy a salir a trotar. Llamas y nos hemos complicado. Thank you Cindy, you are too kind! Congratulations and so well deserved!